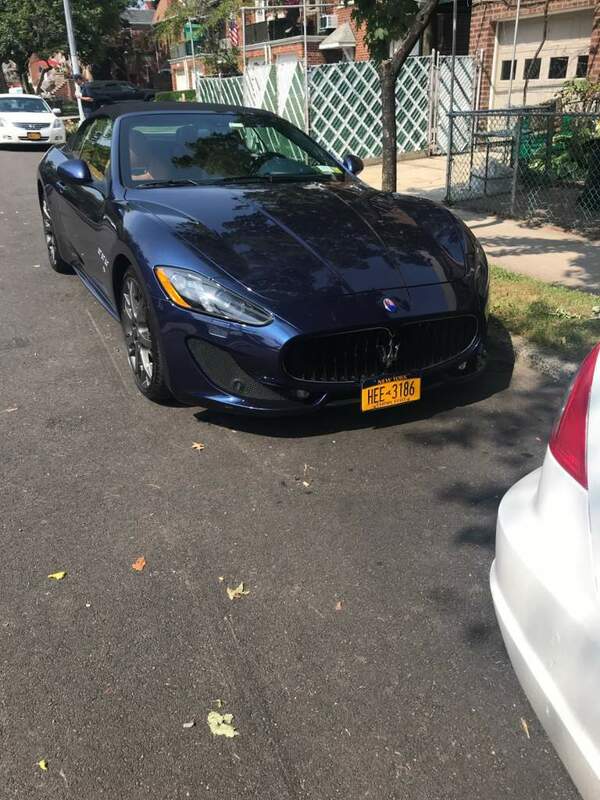 Maserati Forum > Maserati Forum > MaseratiLife Market > Suggestion where to sell 14 GranTurismo Sport Convertible with extended warranty? Suggestion where to sell 14 GranTurismo Sport Convertible with extended warranty? I am thinking of selling my 14' GranTurismo Sport convertible. Where do you guys suggest is the best online place in addition to this forum, Cargurus, eBay? This is what the car has. I tried requesting the build sheet via Maserati NA for more details after checking the forum, but they no longer email it. Going to contact a dealer tomorrow to see if they could send it. It is Blu Nettuno over Cuoio, Grigio Neptune wheels, 15,6XX miles. Black high gloss wood interior trim. Covered under Maserati extended warranty until July 9, 2020. No accidents, also has paint protection film on front bumper/ hood. K40 system integrated with the remote. 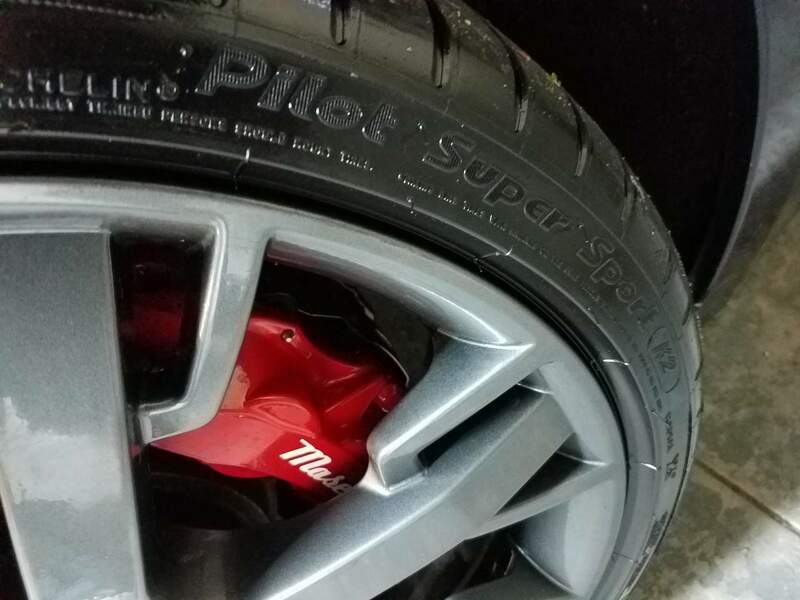 Original calipers were anodized and started to fade so they were just redone in factory standard red with correct font by Miller a few months ago when the car was inspected to get the extended warranty. 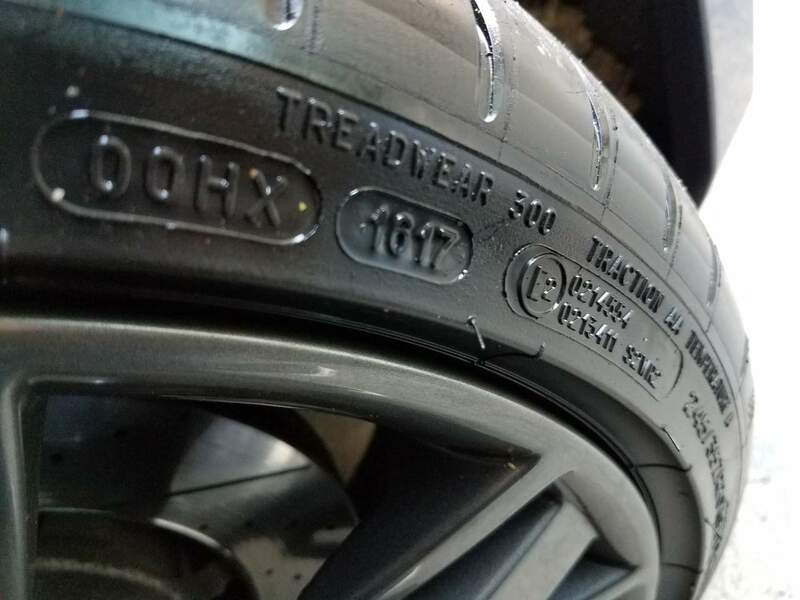 New front tires last month 10/18 (hasn't been driven after being delivered back with the new tires), rears have 7/32 all are Michelin PSS front and rear. The front license plate is on a manually retractable piece so it can be put down. 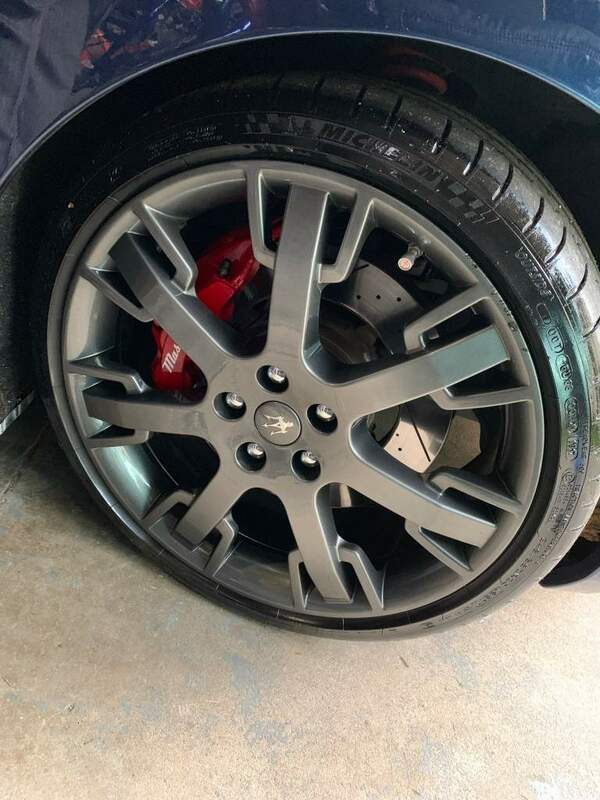 Wheels were refinished last year and have light curb rash. Interior has a minor mark in the leather by the passenger side of the dash and a faint marks on the outer driver door. Second owner with all receipts since it was purchased with 1,836 miles. CTEK Battery tender connector installed in the trunk area and official Maserati Trident Dust caps on the wheels. Located in NYC. Miller Motor Cars is such a car fan destination. That whole street is just wow! How much do you want for the car? I see that essential piece missing from the above. Former '85 Biturbo E owner 25+ years ago. I didn't put a price as I wanted to get quotes for selling directly to a dealer and checked the pricing for a few similar listings, but without the extended warranty or other things added. Turns out the extended warranty is only transferable via private sale according to one dealer as they add no value on trade in or sale for the extended warranty. Cargurus and eBay sold section gave me an idea. 1984 Biturbo / Sold after 24 years of ownership! Yes that is what I was considering in the spring as I'm in NY selling it now wouldn't be the best unless the buyer was out of state. Dealer trade in varied a couple thousand depending on the dealer. One made a ridiculously high value because they were trying to play around with the numbers by taking it in on trade towards a 18 which I didn't want because of the color combos they had left. Have you considered the midly updated 18? I prefer the front of the this GT vs the 18, but a usable infotainment system and the better speakers are tempting. I am actively selling my 2014 GT Sport as well - in which I also have an extended warranty. I may try Bringatrailer.com if no bites on CarGurus or the Market Place on this forum. I also posted in 6speedonline.com. Good luck with your sale. I think Bringatrailer might be the best option from what I have seen as the warranty issue concerns are taken care of by the extended warranty which is transferable. Not sure if there is a document you need to sign to transfer it or its automatic. Good luck with yours too. What vehicle were you thinking of replacing it with? Also, check your tire inflator as the sealant/ filler may have expired. It took me a while to find the official replacement as no dealer had it listed online so I went to a local dealer I had to find the part number. They said no one had ever ordered it before because most people when they get a flat call roadside assistance. I'm going to give BAT a try once I can take all of the pics and vids that they require, as she is tucked away under cover in my garage for the winter. When I am ready for another fun car I think I am going to go with something antique - like a 67 Mustang or the like. Let me know if you post on BAT or if you have any luck selling anywhere else. Update: BAT wouldn't list my car unless I listed it with a reserve of $41K. That is way too low. Not going that route.